So you are thinking of moving to Australia? Whether your move is temporary or more permanent I guarantee there will be lots of things you will love (and maybe some things you won’t love so much) about living in Australia. Number one has to be the weather – one of the main reasons given by people emigrating to Australia. Whilst I know some people prefer the cold and wet and miserable grey days in the UK (I don’t believe them – do you?) there is something absolutely fantastic about living in a country with sun! Yes that round orange ball appears in the sky every day just like in the Uk. Except here you can see it. The weather patterns are obviously not the same all over the country. The tropical north of Australia have just 2 seasons – the wet and the dry. 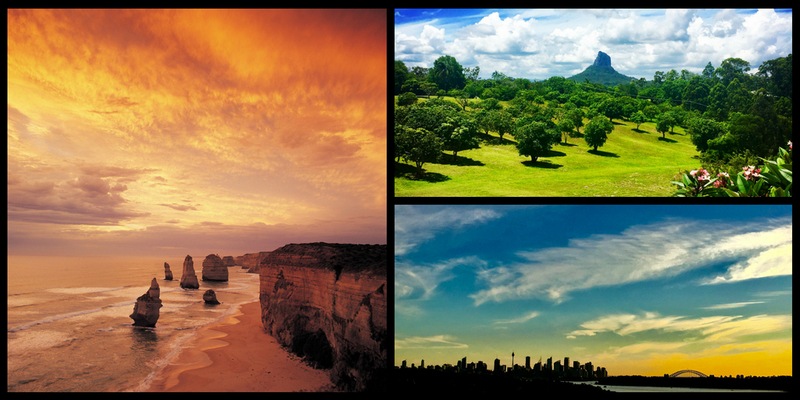 Most of Australia has 4 seasons which are opposite to those in the northern hemisphere. 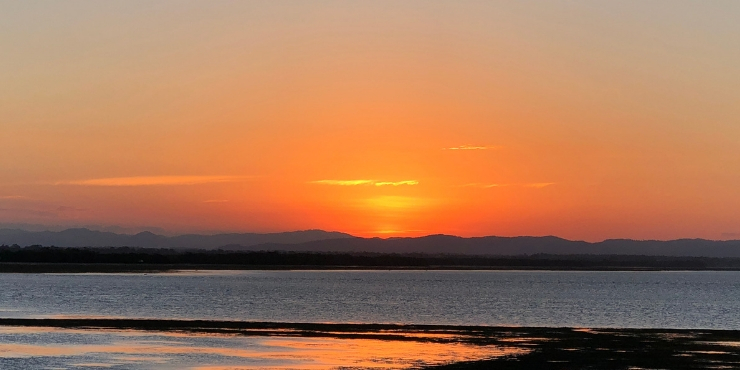 Each season lasts 3 months and winter in Queensland is a LOT different to winter in Victoria. You can check out daily averages at the Bureau of Meteorology! This really does go hand in hand with the wonderful weather. Here you can plan an activity at the weekend and be fairly certain you will be able to do it. We love packing a picnic at the weekend and heading to a beach or a park. Here outdoor areas are set up with tables, BBQ’s and covered seating. Everything is free. There are also swimming pools (lagoons) that are accessible to all. These are even manned by life guards, have changing rooms, toilets, sitting areas and cafes. Brisbane excels in this area with South Bank. South Bank has a beach and pools and it a fantastic place to spend a day in the summer. If you enjoy walks/hikes there are some great places to go (and you may be lucky to see some wildlife too). There are loads of National Parks to visit. We loved visiting Eungella National Park to see platypus in the wild and Cape Hillsborough to see kangaroos when we lived in Mackay. Now we are living in Brisbane we are exploring the Gold Coast and Sunshine Coast Hinterlands. Some people focus on is the creepy crawlies when moving to Australia (huntsmen spiders anyone!!) but actually when you get here its all the other amazing wildlife that will be on your mind. Who doesn’t want to see a koala? A kangaroo? An echidna? A patypus? Come to Australia and you will see animals that are only native to this continent! If you are in Brisbane a visit to the Lone Pine Koala Sanctuary is a must! We have loved seeing so many wonderful animals and birds here. While out for breakfast the other day I videoed hundreds of white parrots as they flew around in front of me and landed in the tree where I was standing. This is just one of the things I love about Australia and it was one of the things I was looking forward to the most. 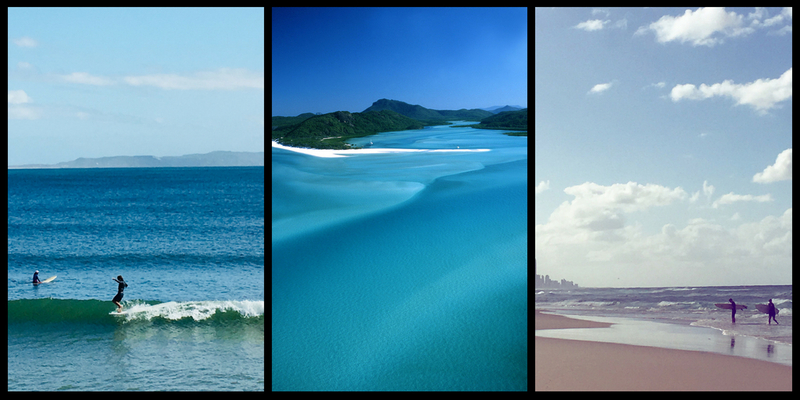 With 10,685 beaches you will be spoilt for choice in Australia! 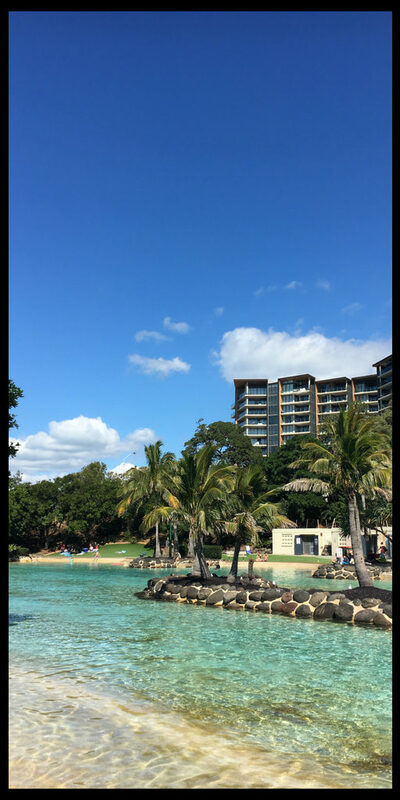 Living in Brisbane you have the option of heading to the Sunshine Coast or the Gold Coast which both have amazing beaches. Consistently voted one of the top beaches in the world is Whitehaven Beach in the Whitsundays. With good reason – the white, soft sand and beautiful clear waters totally blew us away. We can’t wait to go back! 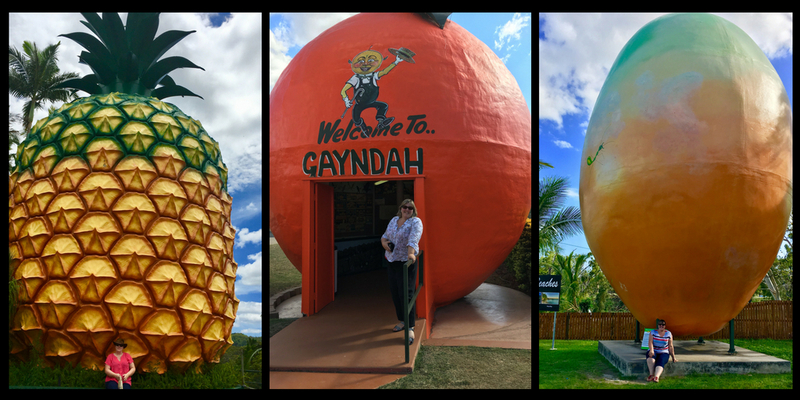 We have only recently started exploring the Gold Coast and we loved Burleigh Heads. The beach is fabulous and you get a great view of Surfer’s Paradise too. Popular with surfers and with a great cafe culture Burleigh Heads should be on your itinerary if you are visiting the Gold Coast and surrounding areas. Noosa’s main beach on the Sunshine Coast is one of the only beaches in the east coast of Australia that faces north. Its gentle waves and white sand make it a perfect beach for families and those learning to surf. There are cafes and restaurants along the boardwalk so you can enjoy the views whilst lunching in the warm sunshine! I love the outback. It is one of the most special places I have ever been. Only 3% of the population of Australia live in the area classed as the outback. 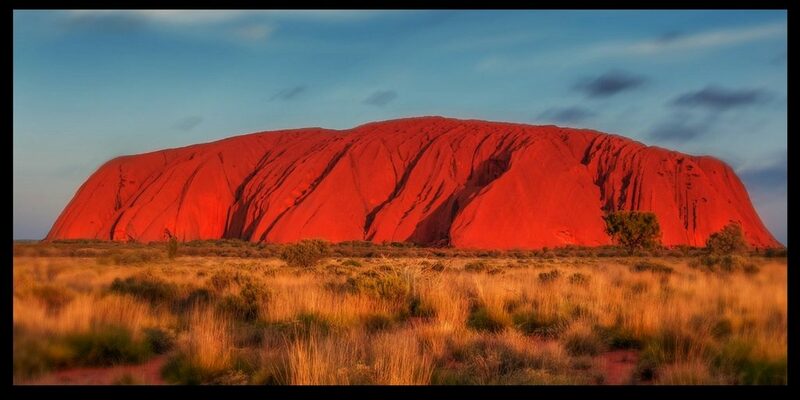 Although I haven’t yet had the opportunity to visit the outback as much as I would like we were lucky to be able to travel to Uluru recently. I would highly recommend a visit if you can – we plan to travel to see King’s Canyon next time too – as it is an experience you will never forget. Ok this is a very personal one but I LOVE Australia’s big things! So far I have seen 5. There are over 150 and they range from fruit to people to objects and more! So I have a few more to see! There are big things to see in every state and territory and I will admit I will go out of my way to see them. As you can see big fruit feature quite a lot!!!!! Well probably more specific than that – breakfasts! Australia really do breakfast. 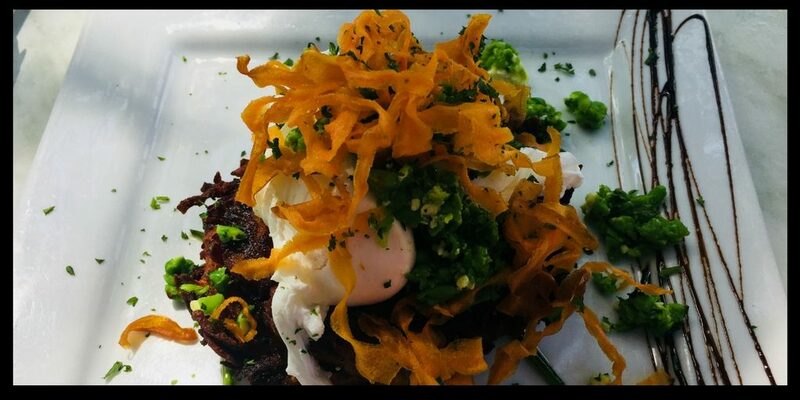 It is like a gourmet feast and at the weekend having breakfast out al fresco at one of the many cafes and restaurants is the norm. Even better if it is by the beach! The fruit is pretty good here too though you really do need to get used to eating it only when in season. It isn’t like the UK where any and all fruit is available all the year round in Tesco. Here you need to be seasonally aware – or pay a steep price! Any list of things I love about Australia has to include sunset! The sunsets are nothing short of spectacular here. I have literally hundreds of photographs of sunsets because nearly every night it is stunning. The light at dusk and dawn is incredible and with the light comes the sound of the birds. Hundreds (thousands) of birds roosting or waking makes quite a racket! Unless you want to fly driving large distances is going to be the norm. Catching a flight here is a bit like catching a bus in the UK – it is so easy. Make sure to sign up for airline loyalty programmes to start collecting air miles as soon as you can it is definitely worth it! The main airlines you will find in Australia are Qantas, Virgin Australia and Jetstar. This is also the land of the grey nomad. Selling up and buying a camper van/motorhome or caravan and travelling the country in your retirement is a popular lifestyle choice and one I really cannot wait to try! Camping is a popular weekend and holiday activity here too so even if the thought of owning a caravan is something you would never have considered in the UK don’t dismiss it until you get here as you may find the weather and general lifestyle makes a caravan a tempting consideration! A life as a grey nomad awaits! Tropical rainforests, palm trees and white beaches to semi-arid landscapes to mountain ranges to islands and more. So much to see and enjoy and with the beautiful weather you will really enjoy an active outdoor lifestyle in a truly spectacular part of the world! Australia is home to 19 UNESCO World Heritage Sites including the Great Barrier Reef, Fraser Island and Kakadu National Park. You really are spoilt for choice here when it comes to natural wonders. 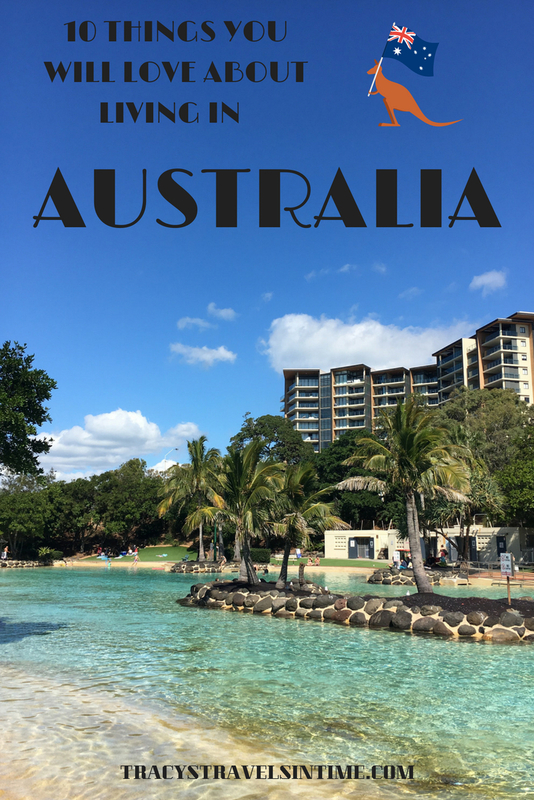 Previous Post 65 Fun Things to Know Before Moving to Australia – You’ll Be Amazed! Hahahaha that sounds so funny! I found it was like living in a cave being in the UK – so dark and small! The sky is so much bigger here! Thank-you! Glad you agree with my top 10! Based on your descriptions, I have to say Australia (at least the area where you live) reminds me a lot of Southern California. We have great weather, a love for the outdoors, good food, sunsets and beaches. Plus, it is easy to take road trips or find different scenery. 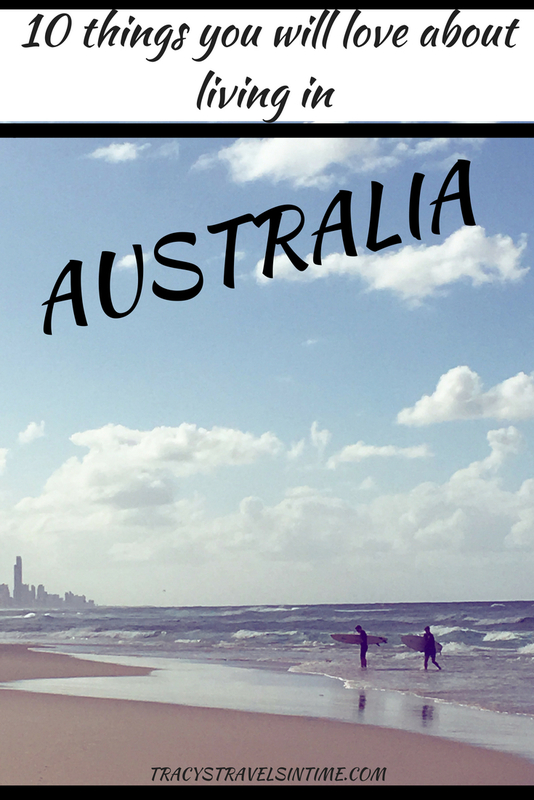 I would love to stop by Australia and enjoy everything the country has to offer! You must visit Ruth! Yes southern California and SE Queensland have a lot in common! Absolutely and one of the main reasons why we moved! Ah, this is a lot like my list! Great minds. The weather is such a huge factor, people make fun of me for moving for sunshine but seriously, it makes such a difference! Even now heading into Australian ‘winter’ I’m very sad that the lovely summer heat has gone away. Luckily we still have the sun every day, and the blue skies make the whole thing much more bearable. How lucky we are to live here! I know and I have written a things I don’t like post too! We are also missing the heat of summer in some ways too (night swimming) but it is nice not drowning in sweat! I must read it Shona! Will definitely read it though! Oh, those beaches and waves! I can feel how warm it is on the beach, too. So lovely! 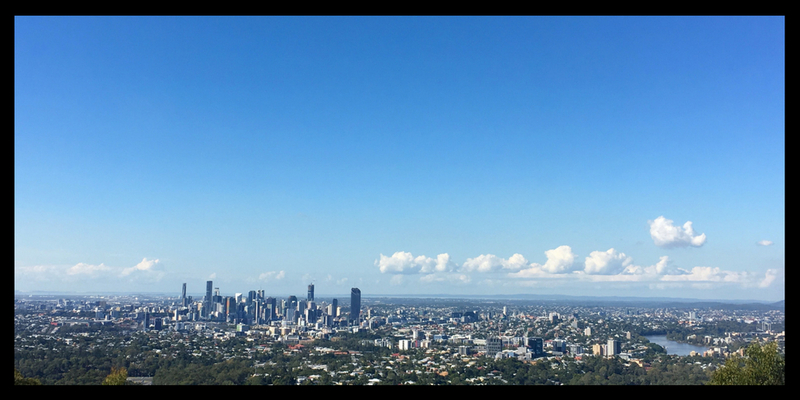 My favorite photo is the panorama of the city of Brisbane — great shot! Thanks Sharon! The beaches are lovely! We still haven’t got to Australia yet, but this is more motivation.Love the idea of a road trip to see all of that wildlife, like your post on kangeroos! Thanks guys! A road trip is compulsory!